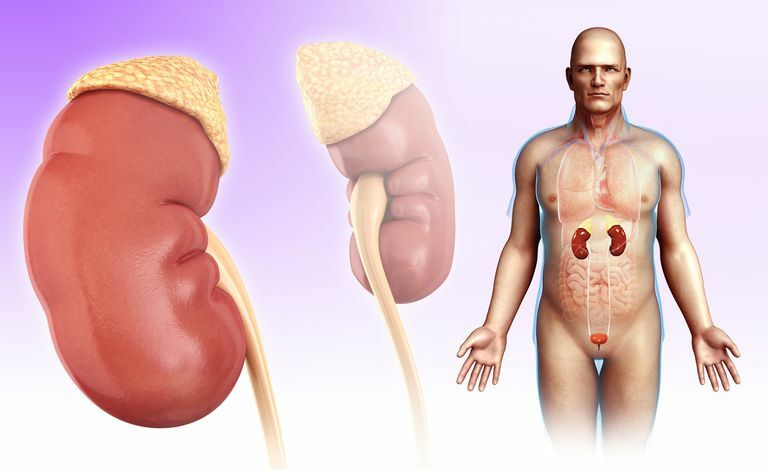 IgA Nephropathy has a varying course ranging from completely asymptomatic disease (in the best case scenario) to the patient who will progress quickly towards complete kidney failure. Hence, treatment may not be necessary for every patient and you should talk to a nephrologist about determining the best course of action. Angiotensin-Converting Enzyme Inhibitors or Angiotensin Receptor Blockers: These are common blood pressure medications (you might have heard of names like lisinopril or losartan). However, these medications do not just lower your blood pressure, they also help the kidneys' function due to their protective role by reducing protein loss into the urine (something that is commonly seen in patients with IgA nephropathy). These also help because patients with IgA nephropathy could have problems with high blood pressure. Hence, unless a patient is not able to tolerate them, they're often considered the first-line medications for treating high blood pressure in patients with IgA nephropathy with protein loss in the urine. Fish oil/prescription-strength omega-3 fatty acids: Fish oil has shown some promise in patients with IgA nephropathy, possibly because of its anti-inflammatory action. However, the efficacy of fish oil has never been clearly established. The standard practice is to use it in combination with other therapies as long as the patient tolerates it. Many physicians do believe that fish oil is unlikely to be harmful and therefore can be given a shot. Glucocorticoids/steroids: A common example being something called "prednisone." Patients with evidence of severe disease and patients in whom the kidney biopsy suggests severe active inflammation might benefit from these medications. These medications suppress and calm down the body's immune system and therefore might help in patients with IgA nephropathy (since we know that the immune system is what hurts the kidney in this case). It is important to realize that steroids are not for everyone. Patients with mild disease might not benefit from them and the risk-benefit ratio might not be in their favor (since these medications do come with significant side effects including weight gain, elevated blood sugars, elevation in blood pressure, bone loss etc). Conversely, patients in a whom severe disease has persisted for a long time and has caused permanent damage and scarring to the kidneys might also not benefit from steroids. This is not hard to understand if you realized that steroids are what we use to "put out the fire of inflammation." In other words, once the fire has done its work and completely destroyed the kidney and left it with essentially dead scar tissue, giving someone steroids would be like pouring water on a building that has already burnt down. It's not gonna work. Mycophenolate mofetil: This is a newer immunosuppressive medication which is still being studied as a potential agent that might benefit patients with IgA nephropathy. At the current time, however, it is not recommended as a first line agent given the absence of definitive evidence. Cyclophosphamide, Azathioprine, etc: These are other immunosuppressive medications that are used at various times for treatment of IgA nephropathy. Their use may not be applicable to every patient and again, they might not be of benefit in patients where severe chronic damage has already occurred. Talk to your nephrologist about what options might be the best for you.